1 So, What is Damp Rid? 2 What is Calcium Chloride? 3 How Does Damp Rid Work? 4 Is Damp Rid Safe? If you‘ve been searching for a way to remove moisture from the air, you might have asked yourself – What is Damp Rid? That is a valid question and one that I’ve set out to answer for you. So, What is Damp Rid? 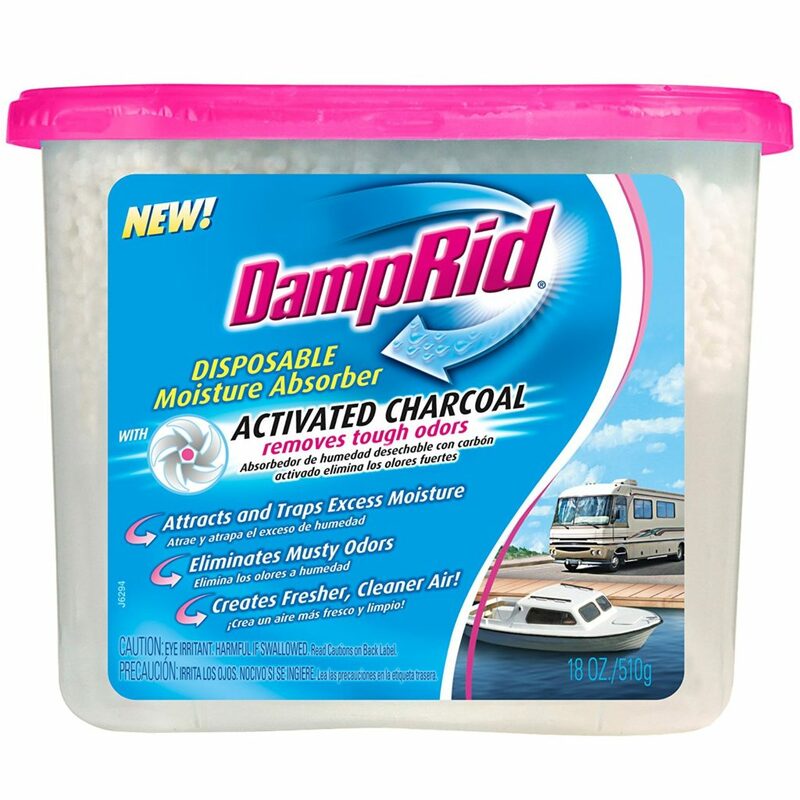 Damp Rid is a product designed to remove moisture from the air. It also helps to prevent excessive humidity, mould and mildew. It contains non-toxic, inorganic mineral salt known otherwise as calcium chloride. It would be difficult to answer your question of “what is Damp Rid?” without explaining to you what Calcium Chloride is as well. This mineral is capable of naturally removing the moisture from your air. It looks like larger crystals of salt, more like rock salt. Calcium Chloride is in many products such as the deicers we use on ice and snow. Sometimes people add it to aquariums or swimming pools. Occasionally, it is even used as a food additive in canned vegetables or tofu. It hasn’t been completely agreed upon whether it is safe to consume, so that is important to note. How Does Damp Rid Work? Those crystals absorb the moisture from the air and then release it into the bottom of the container. Place the container in your room and watch for the bottom to fill up. Then, empty the container and replace it with a new one. A container can typically last for about a month depending on how humid the area is. Most people can safely use Damp Rid without an issue. It is important to tell you that many sources recommend not to use this in homes with pets or children. While it says non-toxic, calcium chloride can cause a skin irritation if you come in contact with it. You also won’t want to use the Damp Rid on areas of metal or leather. They could become damaged if the Damp Rid comes in contact with them. Damp Rid will certainly help you reduce moisture in your home and prevent mould from occurring. Our experience has taught us that a high-quality dehumidifier will do a far better job. Damp Rid is only capable of removing the moisture immediately near the container. If you wanted to use it in a large room, you would need several of these containers to be effective. The dehumidifier, on the other hand, will circulate the air around the room and remove the moisture. It can work throughout large areas with ease. Yes, the dehumidifier will cost more, but it likely will save you money over time. The dehumidifier is going to last for years of use while Damp Rid needs to be constantly replaced. In addition, it is safe to use a dehumidifier with your pets and children. Check out our recommendations of the best dehumidifiers in the UK. Now that we’ve answered the question of “What is Damp Rid”, you should now realise that it is a neat tool to remove small amounts of moisture in the air, but it offers no comparison to a high-quality dehumidifier. If you are struggling with moisture or mould in your home, it is time to invest in a dehumidifier. You can purchase Damp rid in many different forms, such as in pots or in hangers that will sit nicely amongst your clothes hanging in the wardrobe. Do Plants Purify Air at Home? Here's what we know!